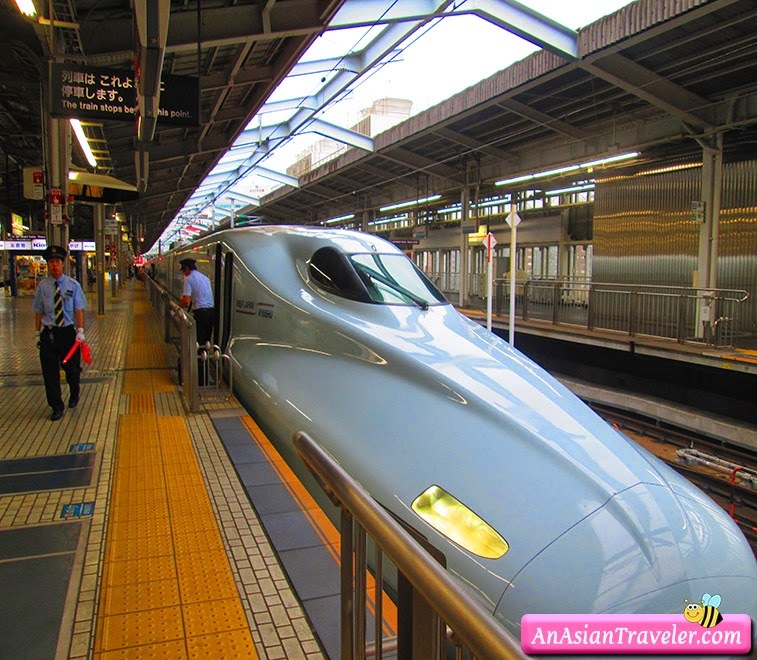 We went to the station in Osaka and boarded the Shinkansen bullet train for Hiroshima. 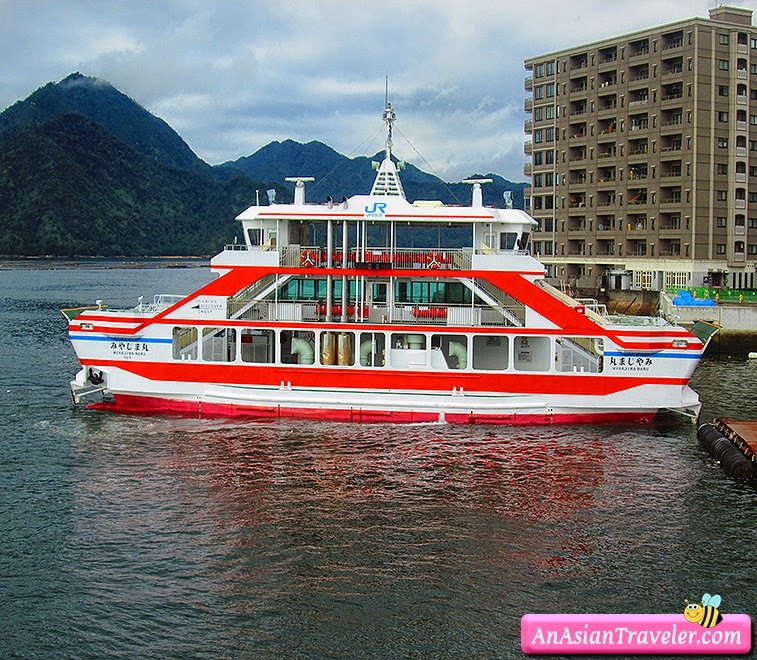 The ride itself would take less than two hours and costs around ¥9,710. 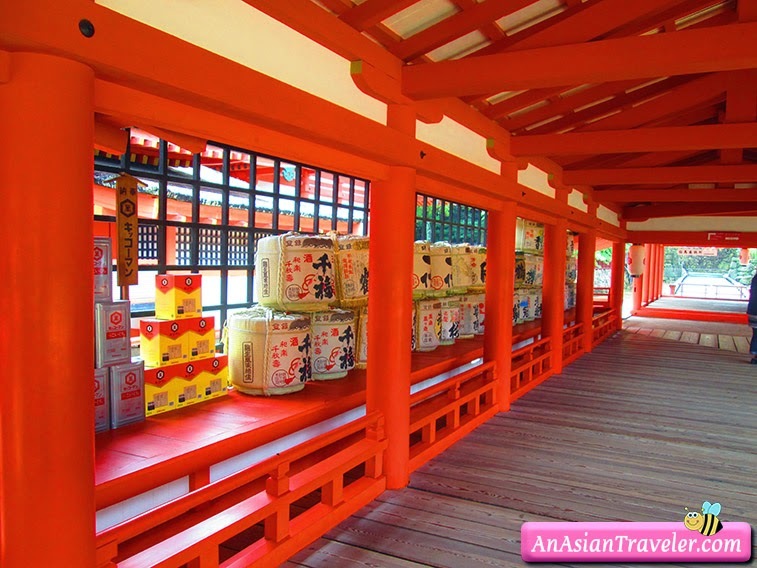 But who wants to travel around on an empty stomach? 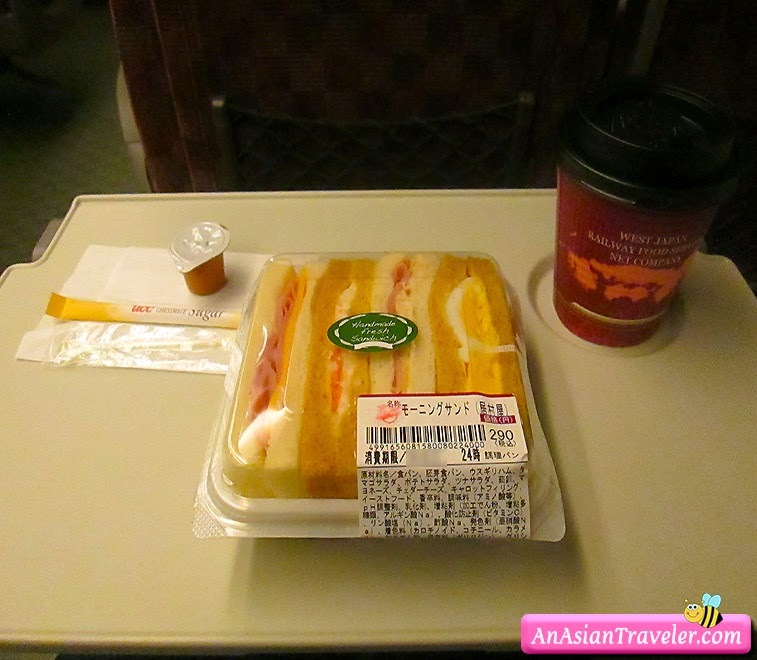 Not us, so we ended up getting a railway sandwich and coffee for breakfast. 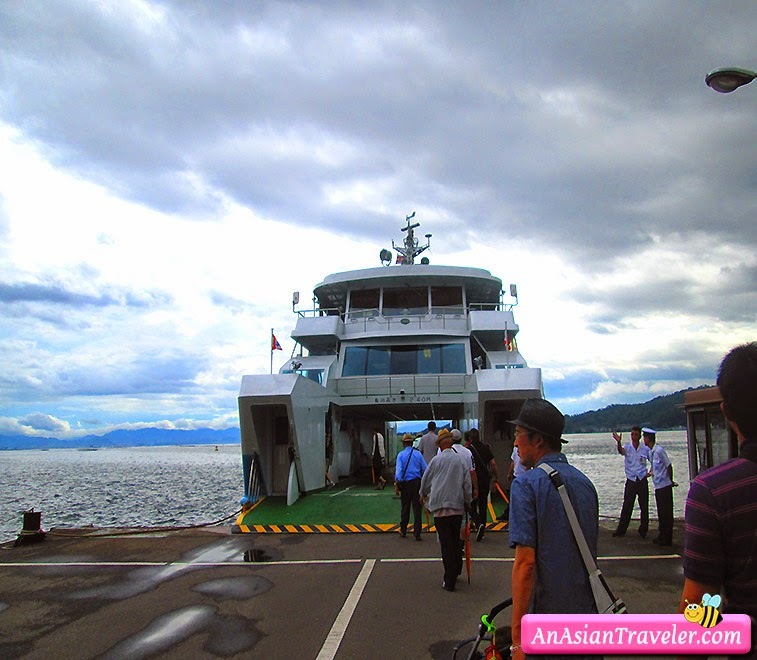 And soon we arrived in Hiroshima, then we changed trains and headed to Miyajimaguchi, the main ferry terminal on the mainland. 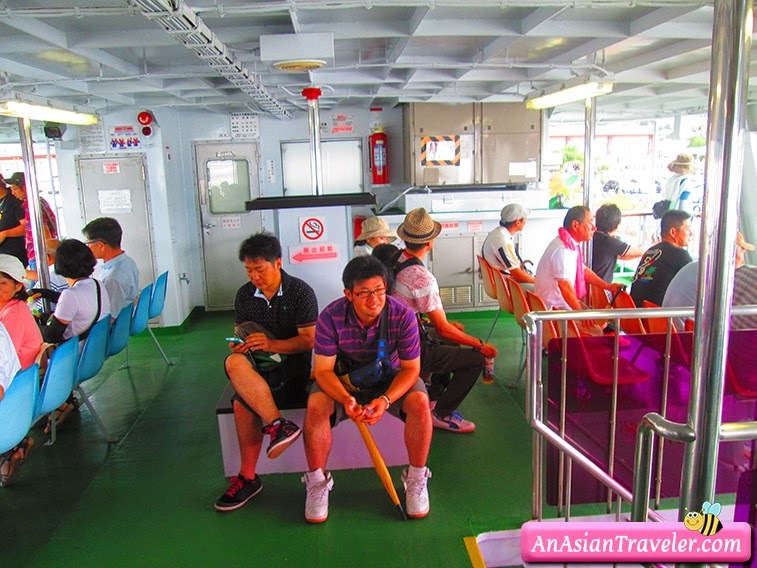 We embarked on a ferry boat to Miyajima Island, which is just a short distance. 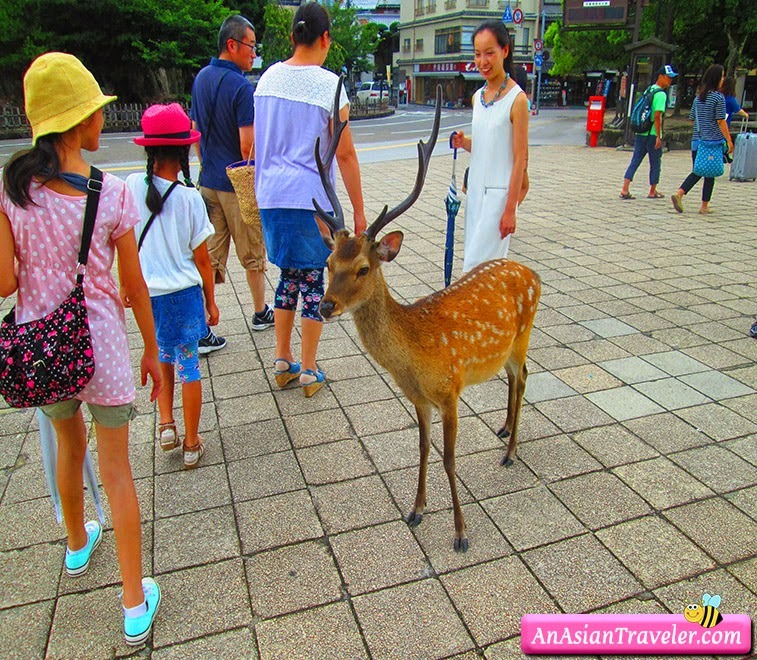 On the way to the shrine we saw some deer wandering freely through the street. 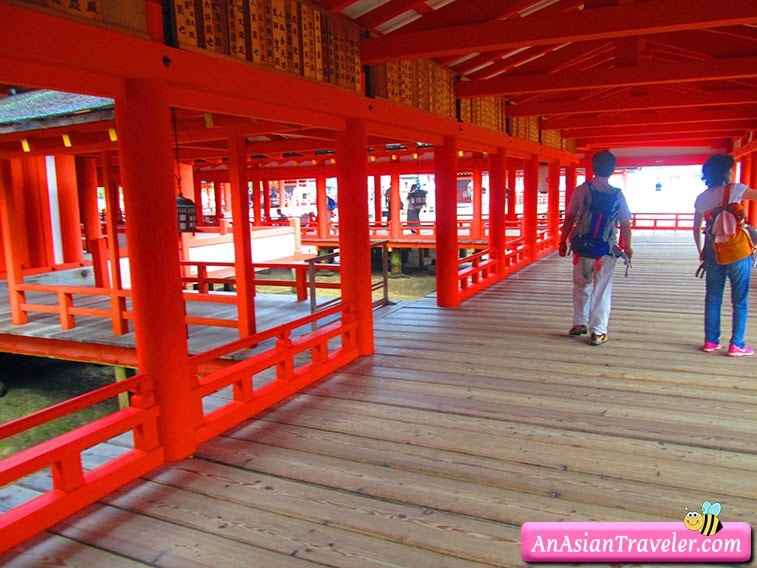 One of the traditional old Ryokans that we stumbled upon. 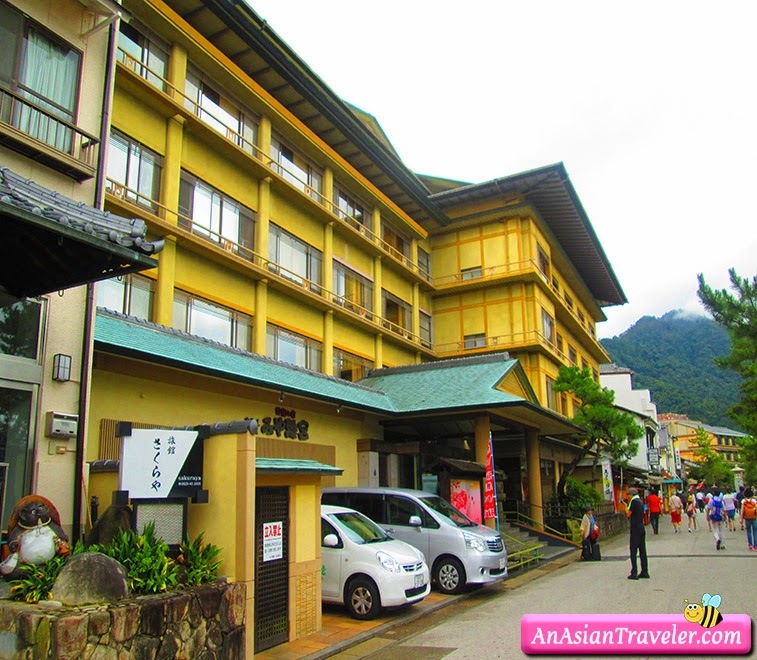 You can book Ryokans (traditional Japanese style hotel) if you wish to stay in Miyajima. 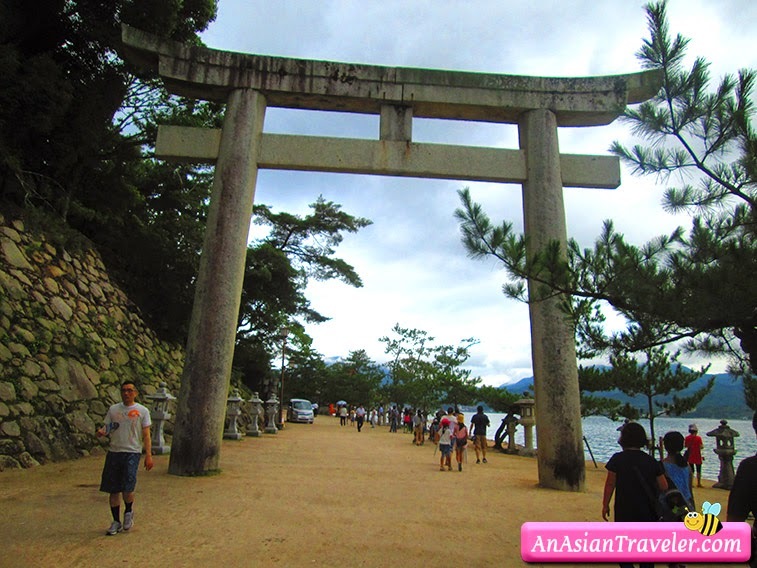 The approach to the shrine starts from its giant Torii Mikasahama gate. 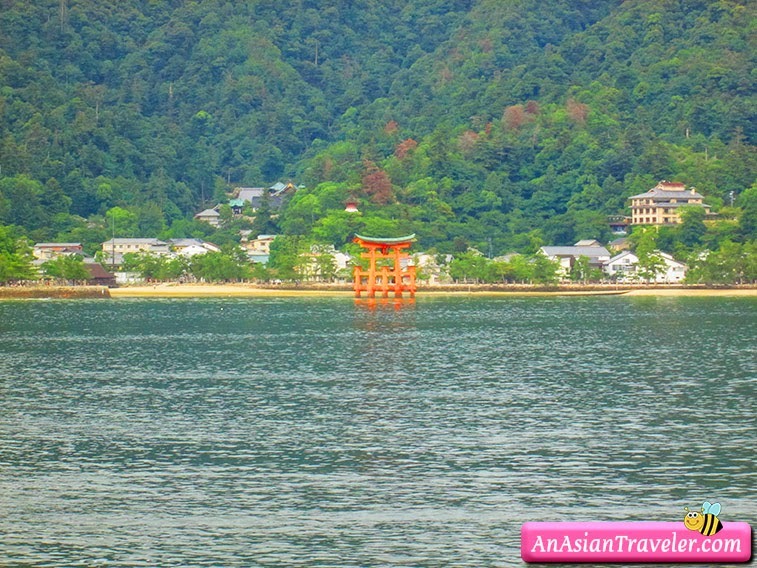 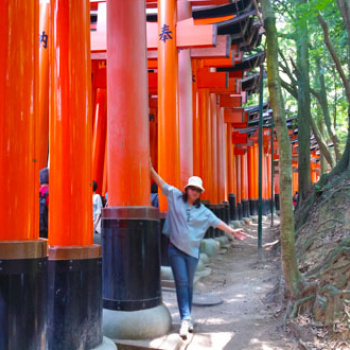 Miyajima (which literally means "Shrine Island") is famous for its Itsukushima Jinja Shrine and the red Torii gate that appears to be floating in the sea during high tide. 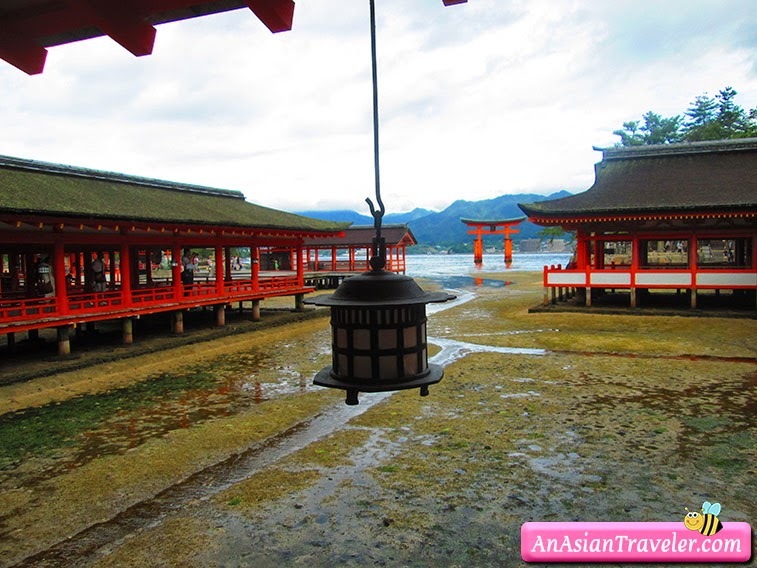 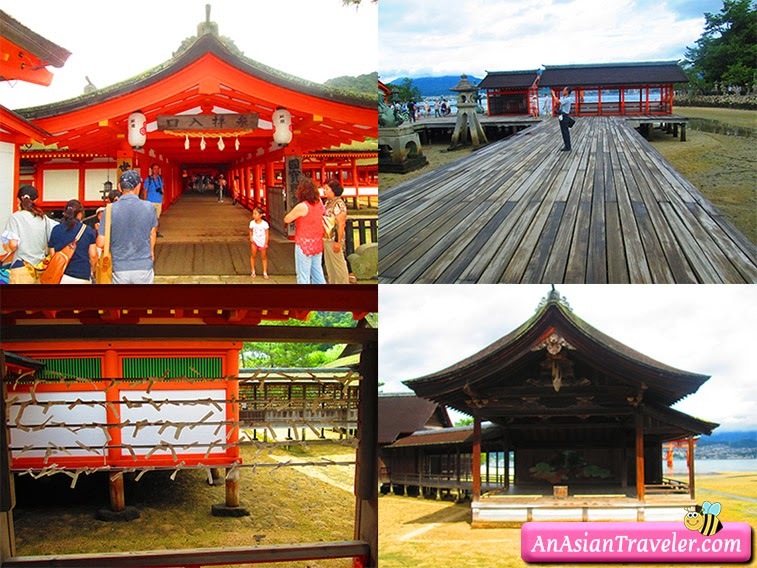 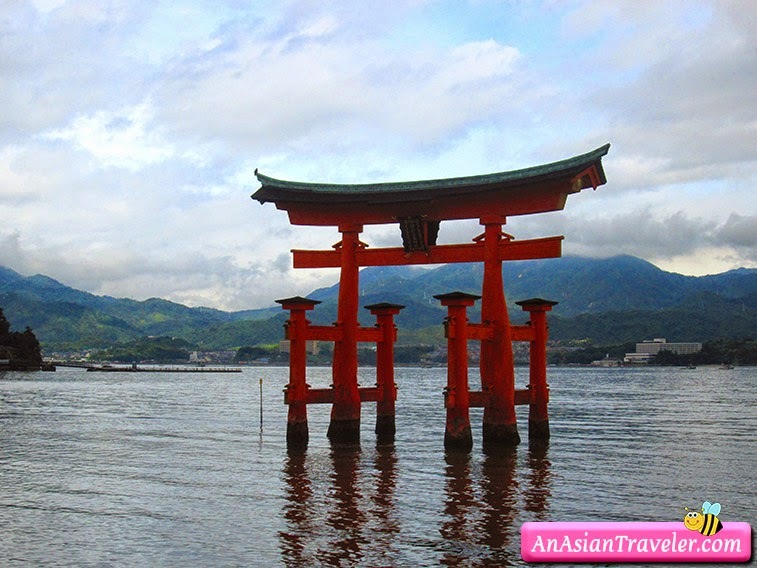 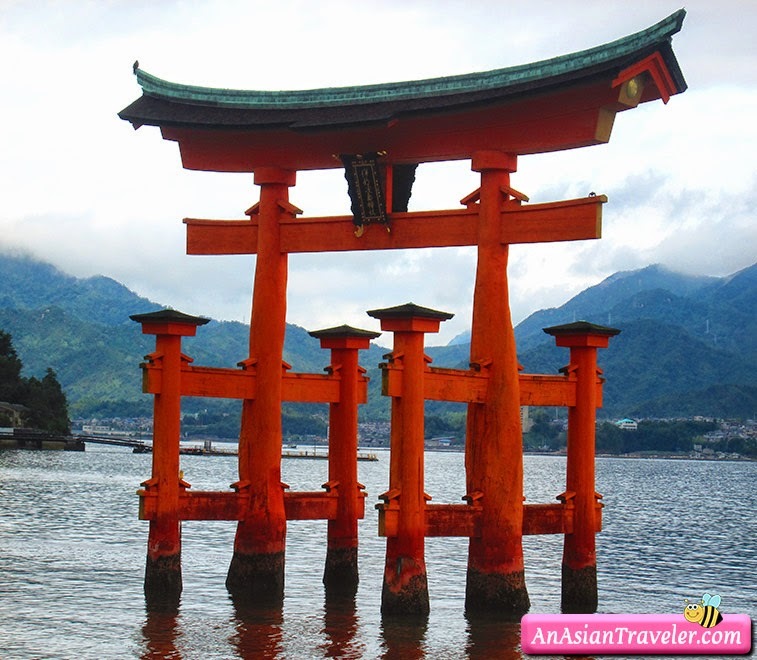 It is said that the Itsukushima shrine was first built in 593 then rebuilt in 1168 on the same scale as it is today. 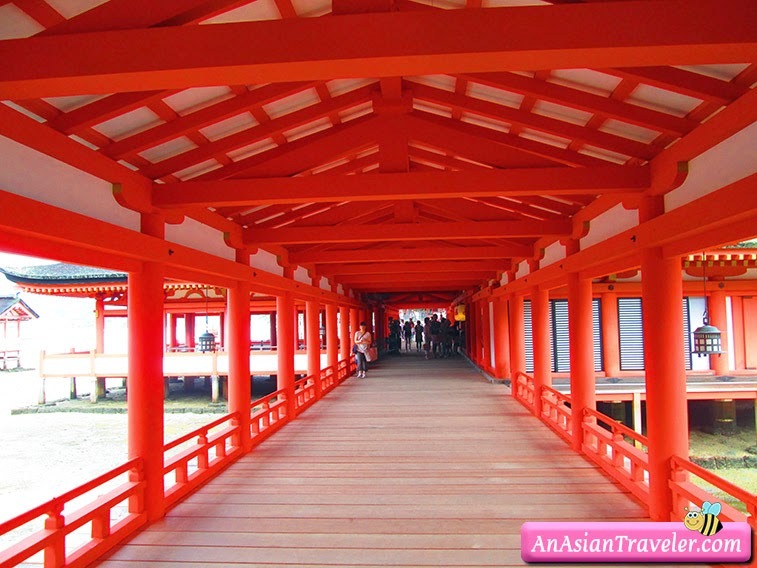 A corridor of some 280 meters spans more than twenty buildings. 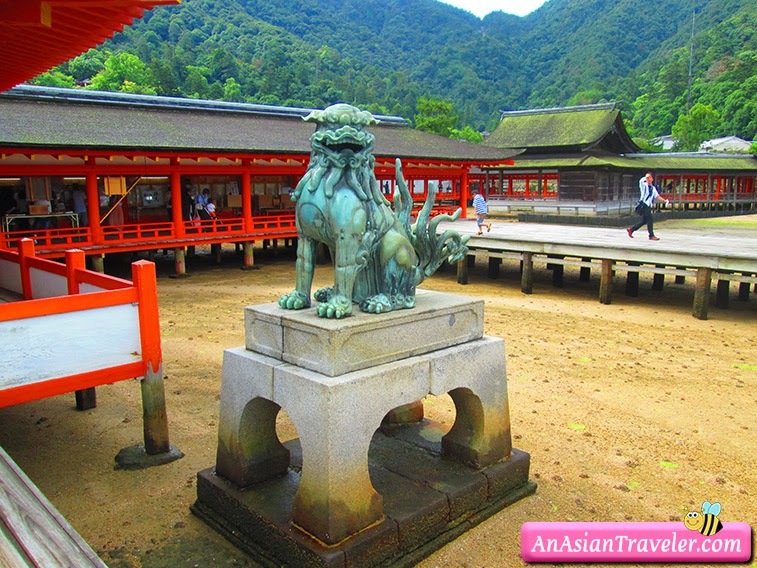 The shrine was designated as a UNESCO World Heritage site in December 1996. 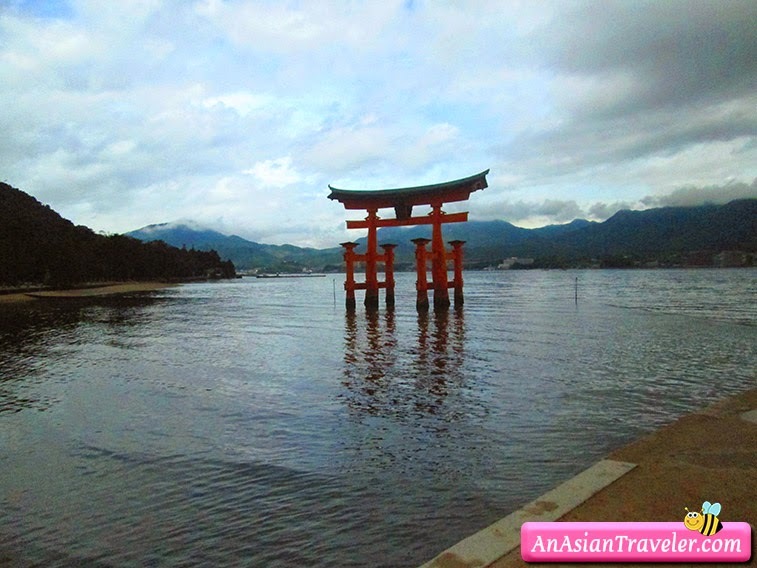 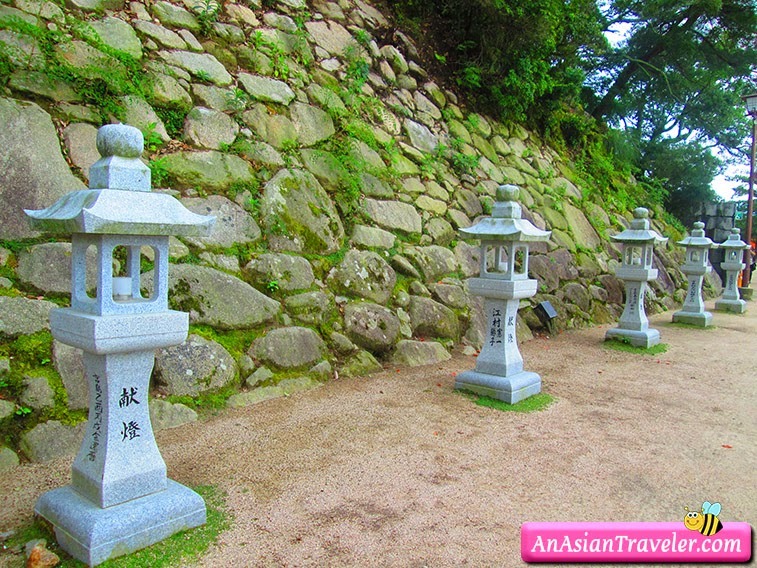 Miyajima has been worshiped as a divine island since ancient times.This is why the shrine was built on the seashore where the tide ebbs and flows. 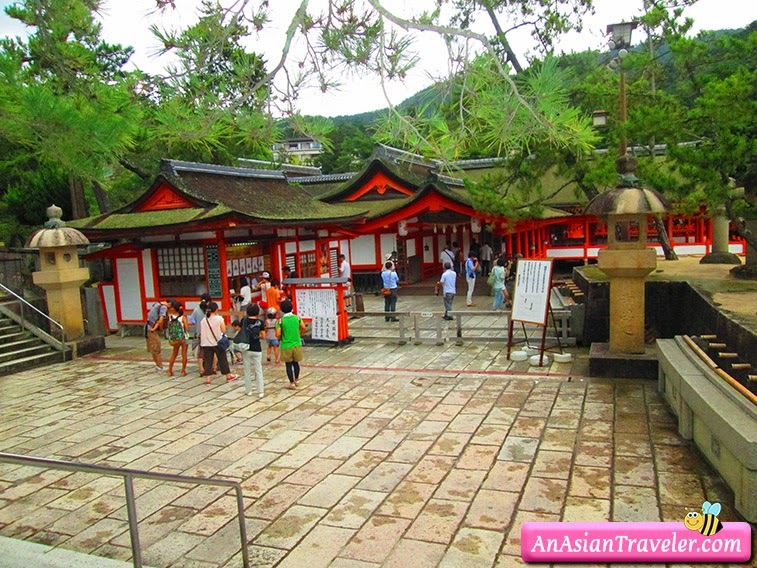 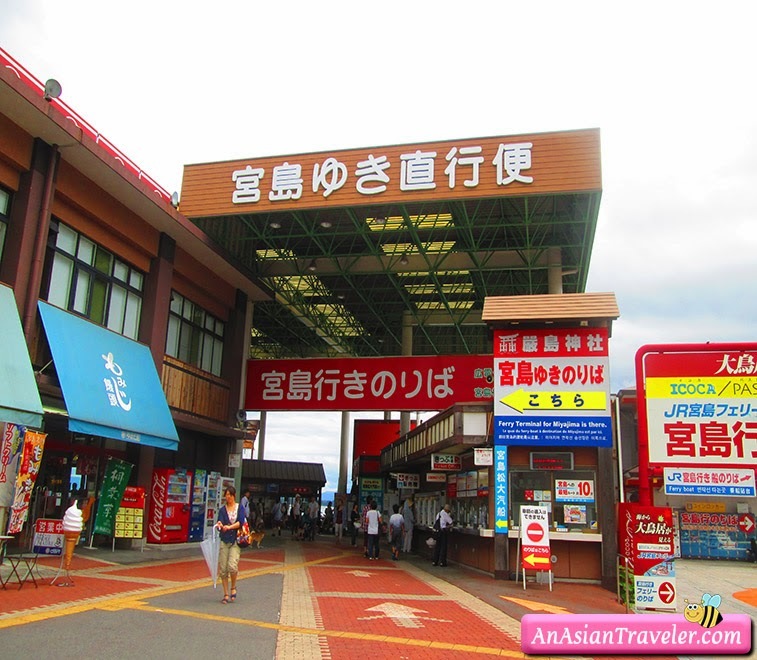 Next stop was at Mount Misen which I'll be blogging next.